Family bonding in Tagaytay is one of the items in my bucket list. I wish that we could go there next year, during my husband's vacation. 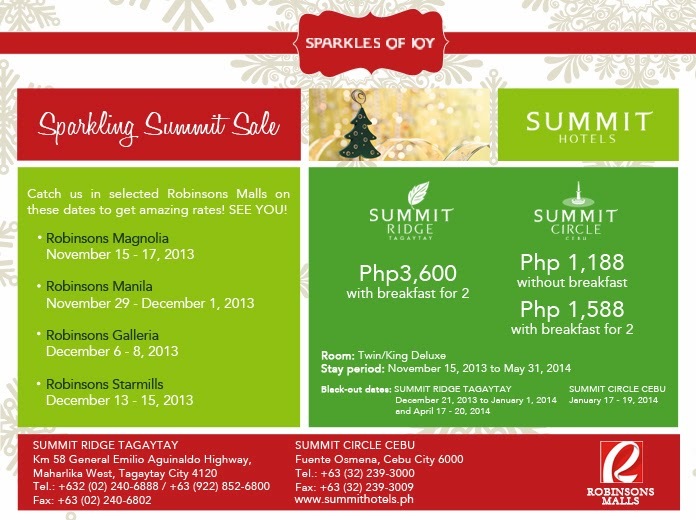 This amazing room rates from Summit Hotels arrived in my inbox today. I'm thinking of booking a hotel room. Oh well, I have to consult my better half regarding this. Catch the Summit Hotels' marketing group in Robinsons Galleria and other Robinson malls to avail amazing deals.